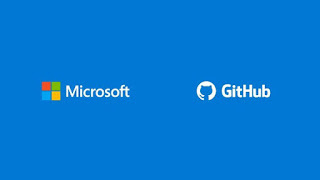 Microsoft has announced an agreement to acquire Github, an open-source software platform. In the $ 7.5 million purchase agreement, Microsoft continues to convince developers about their plans that will continue to allow Github to operate independently. Platform that first launched in 2008, according to Microsoft CEO, Satya Nadella also certainly will be a comfortable place for developers to work on various open-source projects without restricting it on the Windows operating system. Well to find out more about what will be done by Microsoft after this acquisition, here's a summary of six important steps as PULSE quotes from PCMag site. "We will devote our efforts to continue supporting the development of open-source projects," Satya Nadella said. The US software giant also claims to be the most active company to participate in open-source development projects in recent years. More than two million commitments and updates have been rolled out by the company on projects they work on Github pages. As a company that will be under the umbrella of Microsoft, Nadella also revealed there will be three important strategic steps that will be taken. All three include the strengthening of developers at every stage of the project development cycle undertaken on the platform, accelerating the utilization of Github as a place for developers for the company (entreprise), as well as utilizing Github as a vehicle for Microsoft to introduce Developer Garapan company to a wider audience environment. As previously described by Satya Nadella, Github will continue to operate as an open platform for developers of open source software projects. Github founder Chris Wanstrath assures that the company will continue to be a platform open to developers of all kinds of programming languages, operating systems and devices. Chris, who will join Microsoft as a technical fellows once the acquisition process is completed also feels confident with Microsoft's previous commitment has been proven by continuing to let LinkedIn and Minecraft operate independently. This commitment is also re-voiced by Nat Friedman who will soon serve as the new CEO of Github once the transaction of this acquisition is completed. In his statement he said he would keep Github as an open platform that would allow developers to upload code as well as contribute to programming. The CFO of Microsoft Amy Hood said that this agreement would require approval from the governments of the United States and the European Union as regulators. Once approved, the CEO of Github previously held by Chris will then be handed over to Nat Friedman. Chris will then continue his work as Technical Fellows at Microsoft which will also be under the direct coordination of Scott Guthrie who served as head of developers, AI and Cloud the software giant. While Freidman previously acted as CEO Xamarin previously also been acquired by Microsoft. Scott Guthrie will also be superiors of Freidman. Open platform open-source development of this program in the future will integrate Cloud services that they present so that developers can find, adopt, consume and pay all enough from one place the same. Microsoft intends to display all the services and developers tools that are open-source garapannya on marketplace owned by Github. 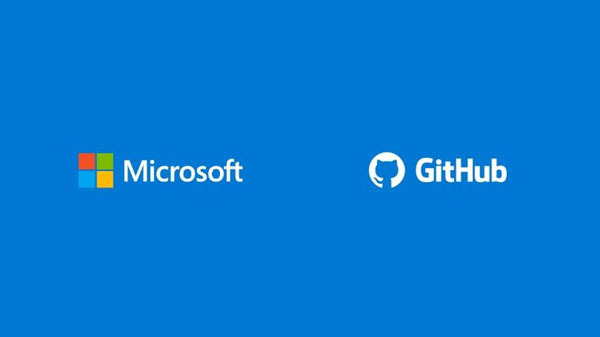 By providing those two things to all developers who have joined Github, Microsoft certainly hopes to introduce more products to more people or developers. Microsoft will also integrate the capabilities derived from its open-source developer environment called Visual Studio Code to the Github platform. Thus developers will be easier to collaborate and combine code which in turn will be able to make the programming and coding process of various operating systems, languages ​​(programming), cloud or platform can take place more productively. 0 Response to "6 Examples That Will Be Performed Microsoft Post-Acquisition Github"